A Valentine's Day card that doesn't get much sweeter! 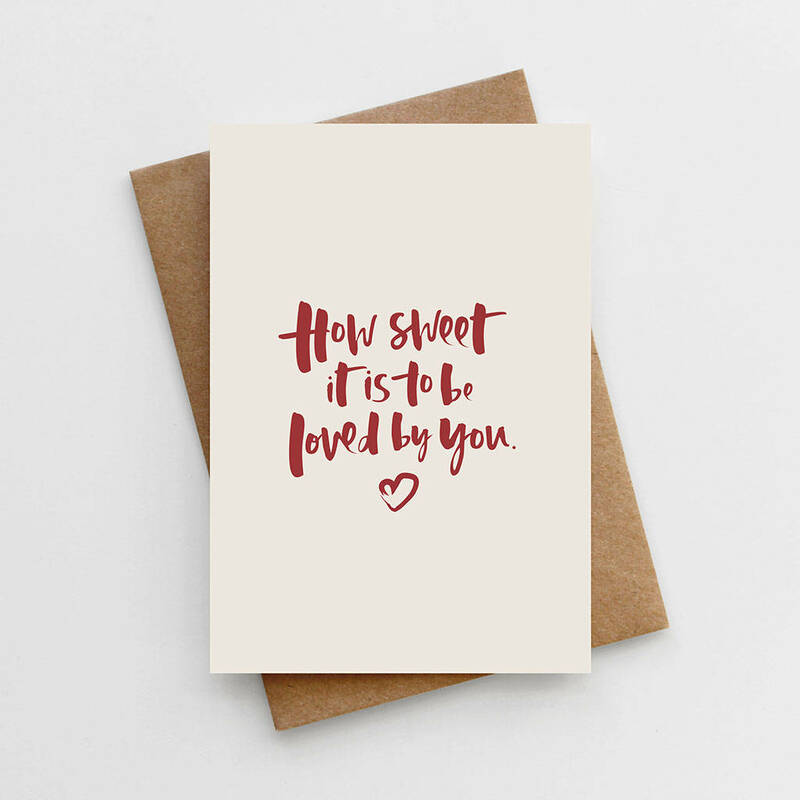 Featuring our classic, hand lettered typography, the phrase 'How Sweet It Is To Be Loved By You' is written in deep red ink, printed onto luxurious, eco-friendly, textured card and teamed with a recycled kraft envelope. 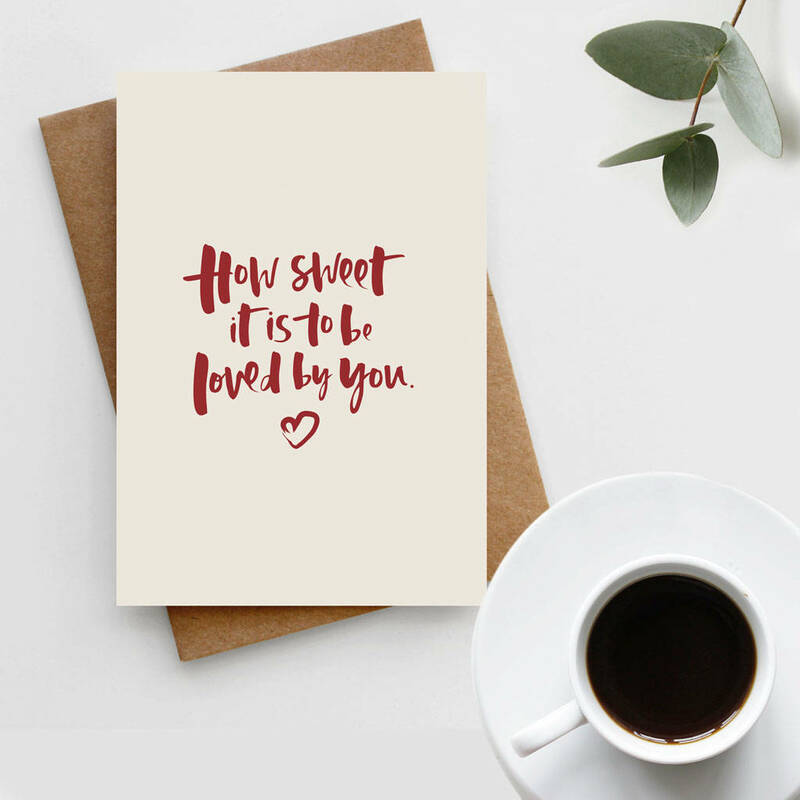 This simple, fun and contemporary card makes the perfect choice for Valentine's Day, a special anniversary or given to your other half on the morning of your wedding. 'How Sweet It Is' Valentine's Day Card is 10.5 x 14.8cm (A6) and comes with a 11.4 x 16.2cm (C6) envelope.